My Railway Pages have moved once again! Note: this text was originally published in the Fred’s Notebook section of my Web site on April 19th, 2001, a forerunner of Blogs, and was subsequently discarded. It is published here in its original version. If RER C/Boulainvilliers operation stayed more or less the same in the previous 10+ years, Snow Hill has probably seen some evolution, at least in terms of rolling-stoc in use. What happens when a “lost” subway is no more “lost”? I mean, what happens when one of these get reused again for public service. Apart from not being qualified any more for the “Lost Subways” section of my Web site, extensive refurbishment justified by modern railway technology requirements and environmental issues leads too often to the loss of the original and somehow romantic atmosphere of the place. 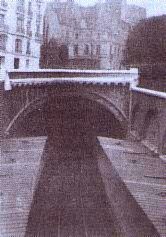 An interesting parallel can be made between Snow Hill tunnel in London and Boulainvilliers station in Paris, France. Both were built around the turn of the (19th) century, both were downtown, subterranean North/South lines carrying important traffic, both were closed but ultimately revived at the end of the 20th century to be included in express services. In both cases, re-opening included extensive works. 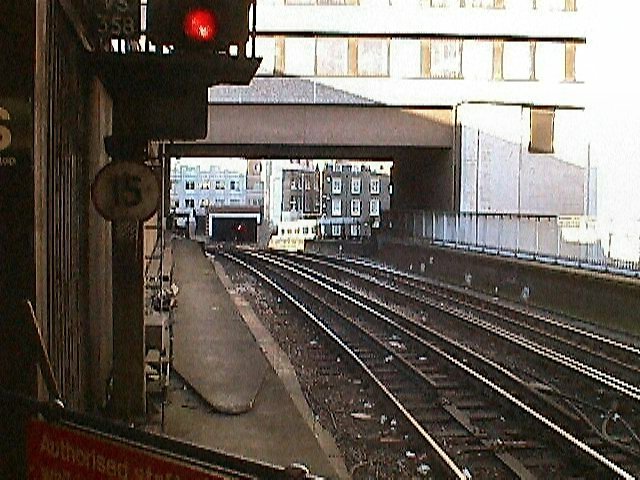 Snow Hill: this tunnel altogether with the now defunct Snow Hill station (a.k.a. Holborn Low Level) was built by the LCDR in 1866 to connect with the Metropolitan Line at Farringdon Street, and to Moorgate in 1871. 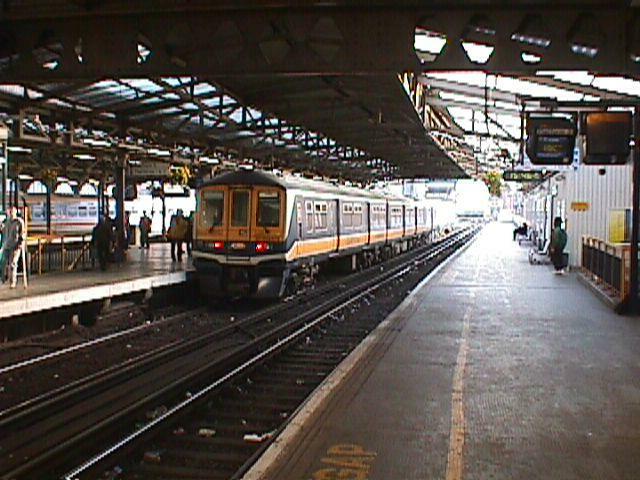 Special features included provision for a banking engine in Farringdon to assist freight trains in climbing up to Ludgate and underground berthing sidings. Through passenger services to Farringdon Street were abandoned in 1908, while the spur to Moorgate was eventually closed in 1916 as a wartime economy measure. Freight services were cancelled in 1969 and the tracks removed. North-South through services were resumed in 1988 as part of new Thameslink services, after extensive civil works including construction of a new subterranean station on Snow Hill station site, known as City Thameslink, and the demolition of the Holborn Viaduct terminus altogether with the Ludgate Hill viaduct – made famous by my fellow countryman and engraver Gustave Doré. Seen from Blackfriars, the concrete box in the distant is the new City Thameslink station. (Picture © 2001 by F. Delaitre). departs for the South on February, 22nd, 2001. Picture © 2001 by F.Delaitre. 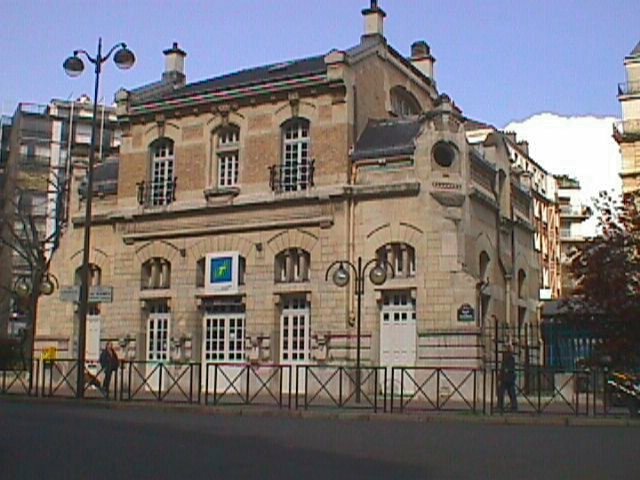 Boulainvilliers: this station and the adjoining tunnels were built from 1897 as part of the new Courcelles-Champ de Mars services run by the Compagnie de l’Ouest for Paris’s Universal Exhibition of 1900. 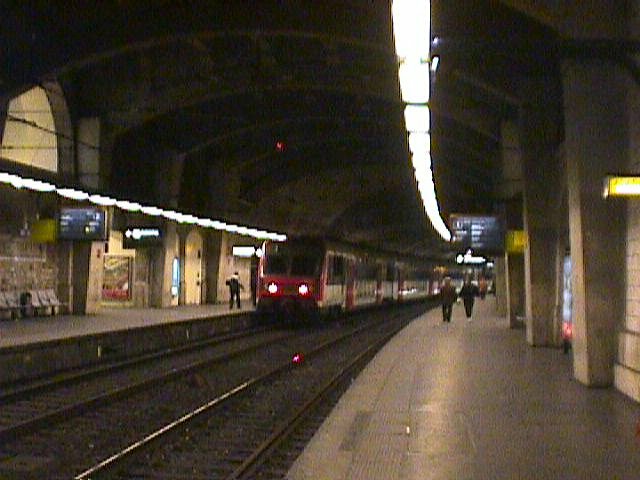 The Boulainvilliers station was located on the new part of the line, sandwiched between two tunnels, northbound towards the Avenue Henri Martin station, southbound towards Quai de Passy. The line was completed on April 13th, 1900, after the quadrupling of tracks from Courcelles to Avenue Henri Martin and the construction of a twin viaduct on the Seine across the Ile des Cygnes. It is interesting to note that this short connecting branch took much of the media attention, leaving in the shadow the opening of Paris Underground’s first line between Maillot and Vincennes three months later. At the beginning of the 20th century, traffic slowly decreased and the Boulainvilliers section suffered from the competition of the Metro lines 6 and 9. With the soon-to-come demise of the Petite Ceinture services, passenger traffic ceased on June 1st, 1924. For 40 years, the line – reduced to a single electrified track – was used for the transfer of empty rolling stock (“Standard” EMUs) to and from the Champ de Mars depot (demolished in 1969, the site is now occupied by the Cultural offices of the Australian Embassy in Paris, and was adjacent to the UIC – Union Internationale des Chemins de Fer – building, rue Jean Rey). After the closure of the Champ de Mars depot, the Boulainvilliers line – with its 3rd rail removed – was used for temporary storage of new rolling stock awaiting delivery, such as the MS61 EMUs of the RATP prior to the opening of RER line A to Saint-Germain-en-Laye and later the SNCF Z6400 EMUs prior to conversion from 3rd rail to 25kV overhead of the suburban lines out of Saint-Lazare. In 1982, the branch was awoken from its Sleeping Beauty dreams and left to the civil engineers. 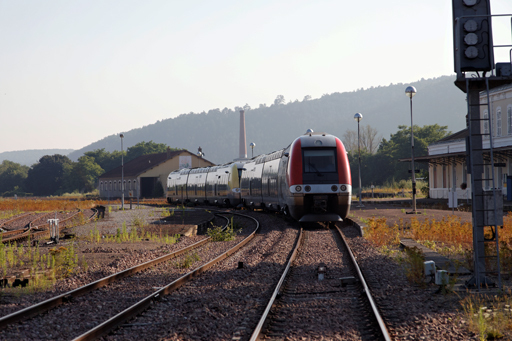 The station, once leased by the SNCF to a dentist, was reverted to its original use while the cutting over the tracks was covered by a concrete roofing, supporting a garden. The Boulainvilliers line eventually reopened in 1988 as the northern barnch of the new RER line C.
Entrance of Boulainvilliers northbound tunnel in 1907.
in accordance with the surroundings of the poshy 16th arrondissement. northbound for Henri Martin on April 19th, 2001. Early Sunday morning light in Clamecy SNCF station, Nièvre, France. Two TER Burgundy motorcars await departure for Paris. In the background, a chimney of the former SPCC chemical plant and the Sembert Hills, still in the morning mist. The day is going to be hot in the City of the Vaux d’Yonne. When Route 66 becomes for a short while 7th Street, for sure, you have reached Joplin, Missouri. The town, once a booming mining community and a busy railroad hub, is famous for being the birthplace of actor Robert Cummings, Afro-american poet Langston Hughes, and the one of the most famous railroad modeller of all times. 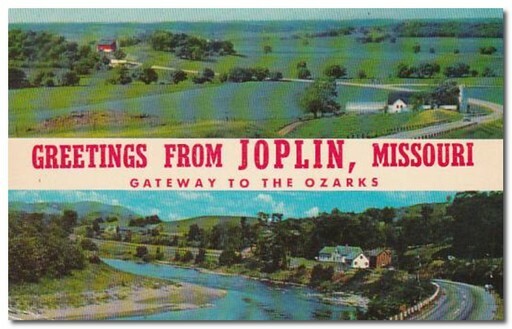 John Whitby Allen was born in Joplin on July 2nd, 1913. Omar Khayam’s Moving Finger decided to make here a round figure: John died in Monterey, California, on January 1973; making of 2013 – 100th anniversary of John’s birth and 40th anniversary of his passing – more than ever the “John Allen Year”. I must confess that I am not a big fan of pancakes with strawberry jam. So I will limit myself today to read a few pages of “The Book”, a.k.a. 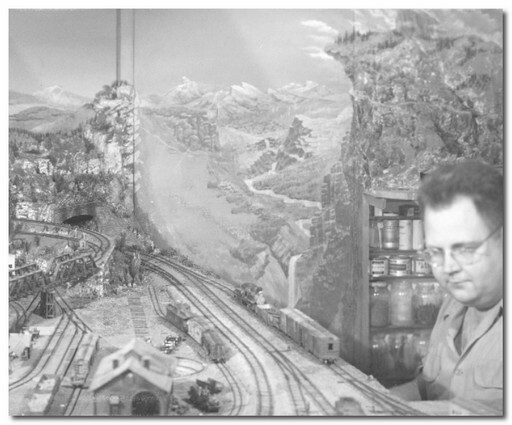 Model Railroading with John Allen by Linn H. Westcott. 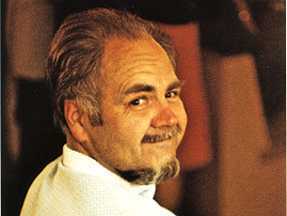 I will be working also on a special modelling project connected to the Gore & Daphetid, as an humble tribute to the man who – adapting the famous phrase of François Truffaut about Orson Welles – summed-up 50 past years of model railroading and announced the 50 years that would come. John Allen at the controls of the second G&D in Irving Street, Monterey, circa 1950. In the foreground, the famous engine shed and the HOn3 track of the Devil Gulch and Helengon. In the background: the Mount Alexander. 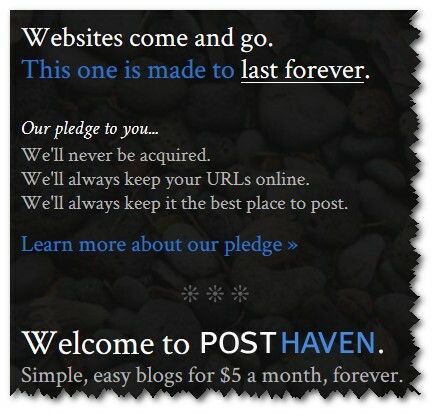 Welcome back to my Posterous readers! This is the new place for my Blog. Further to the decision of Posterous parent company (Twitter) to close operations on April 30th, 2013, I had to hastily move my Blog to these new premises, for which I have full ownership. The migration was not easy, involving some efforts and (mild) profanity, but here it is. There is still some little glitches here and there (especially link to videos that were lost in the process), but these should be fixed very quickly. Last forever? Mmm… “Fool me once…”, etc. 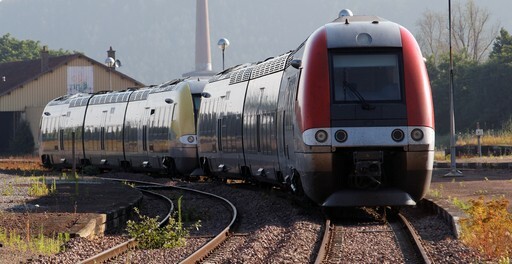 Furthermore, 5 USD per month is what I pay not only for hosting this Blog, but also my french Blog “Le blog ferroviaire“, as well as a part of my Railway web pages www.fdelaitre.com. So, no Thanks! 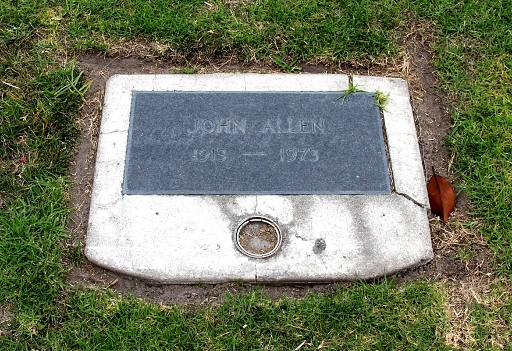 Today, we commemorate the 40th anniversary of the untimely death of John Allen, US model railroader (b. July 2nd, 1913 in Joplin, MO, deceased in the evening of January 6th, 1973 in Monterey, CA). Ten days later, on January 16th, 1973, an accidental fire destroyed the his lifetime work : the Gorre & Daphetid Railroad. 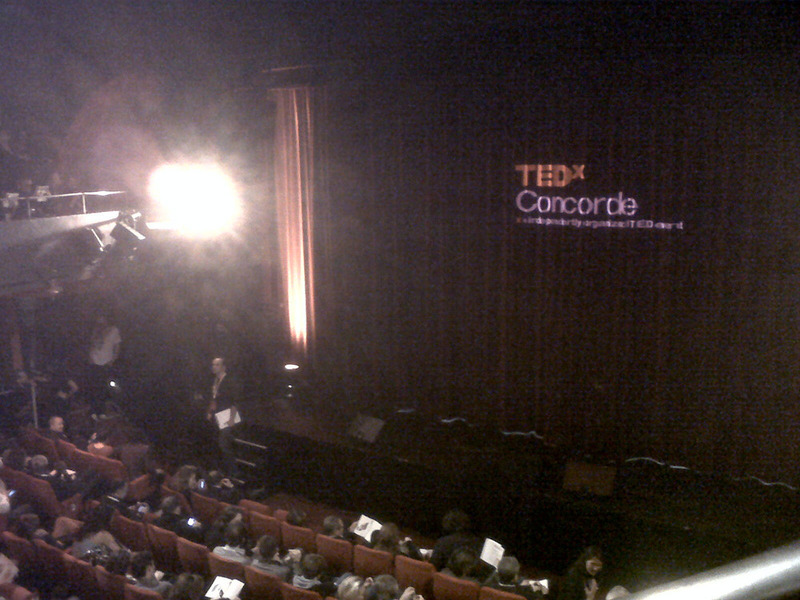 TEDxConcorde – Grand opening with Beethoven. 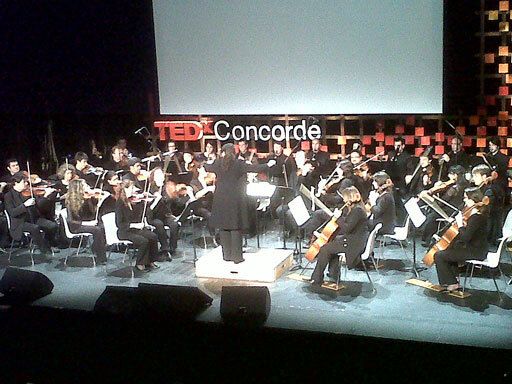 With the Divertimento Symphonic Orchestra of Stains (Seine-Saint-Denis, France) under the direction of Zahia Ziouani. 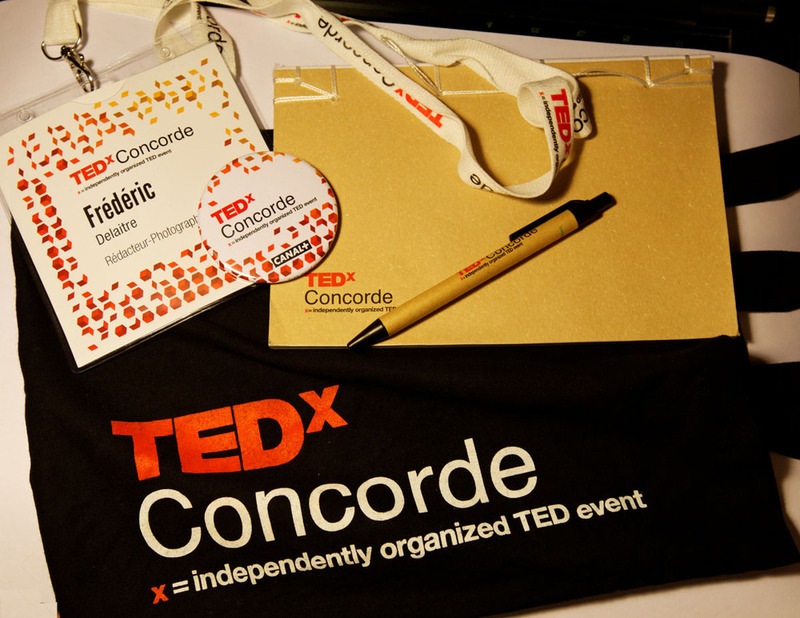 TEDxConcorde – the curtain is about to rise. Contact Me | Copyright © 2006-2013 Le Blog ferroviaire de Frédéric Delaitre. All Rights Reserved.